This year’s conference will be held in at the Washington Marriott Wardman Park from Thursday, September 19 – Saturday, September 21. 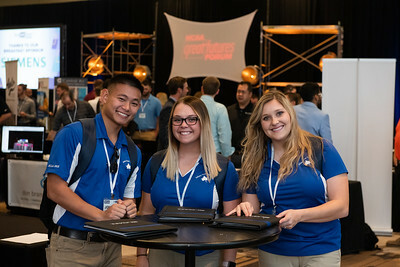 Here in Washington, D.C. the GreatFutures Forum will provide a wealth of unique professional and personal opportunities which can help students’ futures shine as bright as the Capitol dome. 3rd Annual MCAA Job Fair, where students can meet and talk with MCAA members from across the country to discuss internship, co-op and full-time job opportunities. Extensive one-hour session about the annual Student Competition project. The session will give students the opportunity to ask questions, review the scope of the project in depth and learn how to access the content on Procore. Exclusive mechanical systems tour of a D.C. Landmark and learning about the industry’s latest technology. Engaging sessions by Colonel Nicole Malachowski and Illusionist Vinh Giang discussing the importance of leadership, overcoming adversity, and the tools to build success. Friday Night dinner and free time with peers at the Smithsonian Air and Space Museum! Attending this year will be a Capitol Investment! Make sure to register today for the GreatFutures Forum. This year will be MONUMENTAL!